The Metropolitan Museum of Art, also known as the Met, is the largest museum in New York. Like the Louvre in Paris, the Hermitage in St. Petersburg, and the Rijksmuseum in Amsterdam, New York has the Met. Metropolitan Museum of Art has a very broad collection. 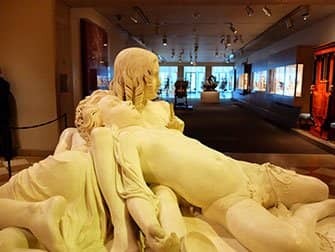 From the finds of ancient Egypt, armour from European medieval times, fashion, photography, and contemporary art, there’s something for everyone. 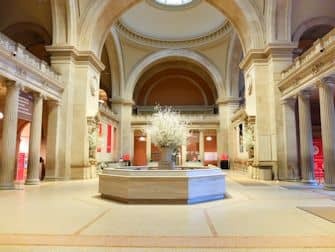 What is there to see at the Metropolitan Museum of Art in 1.5 hours? Actually you need a few days at the museum to see all of its fantastic collection. 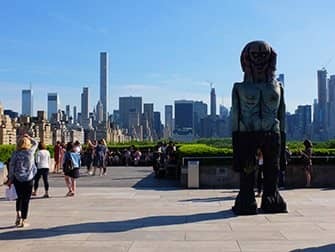 The Met has two million works of art from all over the world, spanning 5,000 years, in more than 400 galleries. If you do not have much time, I advise you to review the free brochure while waiting in line to drop off your coat at the cloak room. Please find below selected useful information from the brochure. If you want to explore the museum on your own, head first to the old European paintings of the Dutch Golden Age in Rooms 600-632 on the Second Floor. Here are the works by the Dutch Masters like Rembrandt, van Ruysdael and Hobbema. A very intriguing collection indeed! 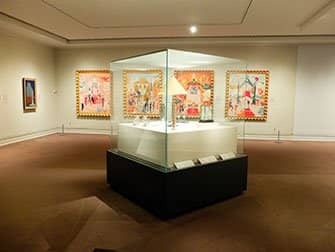 From there, you can walk through a complex corridor to go to the South Side section to reach Rooms 800-830, which is the 19th and early 20th Century European paintings and sculpture. 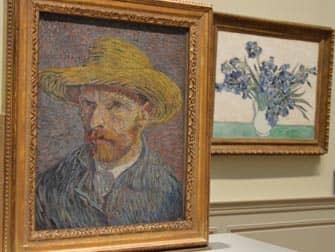 Here you will find a few more Van Gogh paintings that are not to be missed, as well as beautiful paintings by Matisse and Degas. Continue walking to Room 917, where you will find Modern and Contemporary Art. This is a collection of amazing modern art, a very diverse and stimulating collection. You arrive automatically at stairs leading to the first floor where you will also encounter the beautiful works of Edward Hopper. Now you deserve a drink! From May until October, you can go to the Roof Garden Café on the 5th floor. Sometimes there are even live jazz performances. Exclusive! Visit the museum as a VIP, before the doors are open to the public and the crowds of people swarm inside. On the EmptyMet Tour your guide will take you early in the morning, in a small group, to visit various highlights on display. 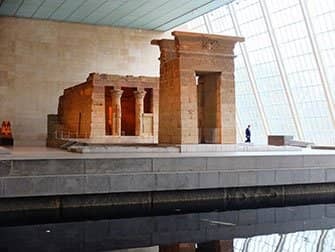 Get the chance to experience the Met in a unique way. Location: 1000 Fifth Avenue (at 82nd Street). To get here you can take the green subway lines 4, 5 or 6 or the yellow line Q to 86 St. From there you can either walk to the museum, which is about 10-15 minutes, or change to bus M86 to Fifth Avenue. Transferring between the subway and bus is free, so you won’t pay extra for using the bus. From March 1st The Met will no longer support the ‘pay as you wish’ fee for non-New Yorkers, every visitor needs to buy a ticket. 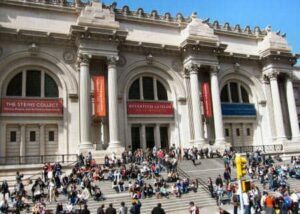 Eric’s Tip: The Metropolitan Museum of Art has two further locations, The Met Breuer and The Met Cloisters. The Met Breuer is a museum displaying modern and contemporary Art, within walking distance of The Met. The Met Cloisters, built in the style of a Medieval European monastery can be found in the northern tip of Manhattan. With your tickets for The Met, you also receive entrance to these two museums, so plan your time carefully!